Here’s how you can sell your Sacramento house “As-Is” for cash, without any commissions or closing costs quickly. There are no costs to sell the property. No repairs or clean-up needed. Receive Your Funds When You Choose. There’s less paperwork to deal with. First, tell us some info about your house. We’re not looking for a ton of detail, just some of the basics. Then we’ll hop into action and determine your fair offer price. Receive a fair cash offer from us. Within 24 hours, we’ll give you a fair offer based on the info and our basic calculations. Best of all: it’s a no-obligation offer so if you don’t want to sell your Sacramento house to us, that’s fine. What do you think we did well: Everything!!! From the moment we were in contact with Adam things went smooth, quick and very professional. 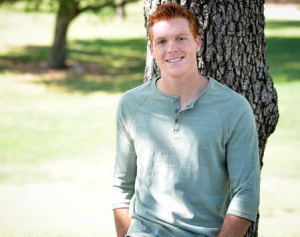 Tell us about your situation and how we helped: Adam was compassionate, and was very sensitive to our situation. This house was looked at, sold, and went through escrow in 2 weeks!! All around was just a wonderful experience. Made a very difficult time in my families life a little easier. When Does A Cash Offer Make Sense For Me? Accepting a cash offer for your Sacramento house is ideal for some situations and not for others. Depending on the condition of the property, your timeframe, the market conditions, or your financial situation it may or may not make sense to accept a cash offer that could be lower than a conventional offer. Cash offers are more likely to close; the buyer does not need to qualify for financing. Cash purchases often close faster than conventional, financed purchases. Appraisals are not required for cash purchases. Cash purchasers are more likely to purchase “As-Is”, meaning you do not have to repair the property prior to sale. Lenders often have strict requirements for the condition of the house. Cash purchasers are often more lenient when it comes to condition. When Do Cash Offers Make The Most Sense? A cash offer might be your best route if the property needs updating or repairs. Cash sales make sense when a fast close is needed. If you’re looking for an easy sale, a cash sale makes sense. In markets or times where credit is hard to obtain. When you need certainty of closing. When Do Cash Offers Not Make Sense? Cash purchases often, but not always, want a discount due to the advantages listed above. There are no fees or costs for you (we take care of everything)! We will do everything for you — you don’t have to do renovations, deal with code violations, or even evict bad tenants! Do you have tenants? We can buy with the tenants in place and we’ll take care of the tenants ourselves! (People who have difficult tenants or even family members love this). There’s WAY less paperwork than when you sell through the traditional method! You can close on the date you choose! Even as early as this week, if you want. We’re fair, professional, and experienced — we’ve handled SOO many different kinds of situations! 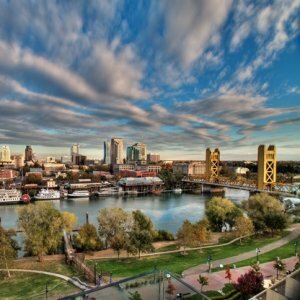 We are expert cash house buyers in Sacramento. We give you a great offer but you’re under NO obligations to accept our offer — so it doesn’t hurt to check us out and see. It can take forever to list and show a house to to buyers (and even longer if you have to fix up the property first)… We help you avoid long, drawn out timeframes by simply buying your house with NO public showings, and no renovations. Worried that your property isn’t in great shape (which can prevent a buyer from getting financing)? Not a problem for us! We don’t finance through the banks so that’s not a worry. We buy houses Sacramento as-is. Worried that you have code violations that are too costly to deal with? No problem, we’ll take care of them for you. We can even help you with costly and frustrating tenant problems (you don’t have to deal with them any more). In some cases, we can even handle the tenant evictions for you so you don’t have to! Don’t pay out-of-pocket for those expensive renovations. It doesn’t matter if your property has foundational issues, roof, plumbing, or electrical problems, mold, or anything else… we’ll take care of it. We’re experts at handling just about any issue, timeframe, or problem you might be facing with your house! NOTE: You’ll find that many of the companies that advertise themselves as “We Buy Houses In Sacramento” or “Sell My House Fast Sacramento” companies actually offer surprisingly little in their cash offers to homeowners like you. They base their offers on the properties and frequently give much less than sellers want. Worse yet, many of these companies do not have the cash upon closing to complete the transaction. Don’t get stuck with one of these companies! Here’s how we’re different when we buy houses Sacramento. Quick Home Offers seeks to understand your situation and factor your needs into our offer. In fact, we’re known for crafting our offers around people like you, NOT the properties! You’ll discover (as many of our buyers do) that we work hard to accommodate the people we work with, and we go farther when helping than any other “Sell My House Sacramento” and “We Buy Houses In Sacramento” companies. 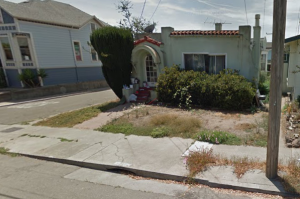 Whether your house is (in Sacramento or in any other part of CA), even whether it’s int good shape or bad shape or whether there are tenants or not… it doesn’t matter. Call or Text Us Right Now To Receive An Offer Fast! We want to hear from you today! Are You Thinking, “I Must Sell My House Sacramento”? If you find yourself wondering how you can “sell my house fast Sacramento” (or any other part of California), then that’s where we can help you quickly. If you’ve ever sold a house before then you know that there are so many challenges and frustrations that you could encounter if you choose to sell your home through an agent (we call this “this traditional way to sell my house Sacramento”): You have to fix up your property, have open houses, wait for a buyer to fall in love with it, and then hope they get financing. But with us it’s different. That’s because we’re not agents… WE’RE BUYERS! When you sell your property to us, Quick Home Offers, we take care of many of the issues you would normally face when you sell the traditional way. At Quick Home Offers, we provide owners with a fast, fair offer for their house — in as-is condition (not repairs necessary). We’re here to make selling YOUR home easy and hassle-free. If you have a problem with your house — from an inherited property to problem tenants to a house that’s in bad shape… you might not be sure what to do, since selling the traditional way can be expensive. But one option is calling a “Sell My House Fast In Sacramento” company or a “We Buy Houses In Sacramento” company like us! We’re here to serve you! 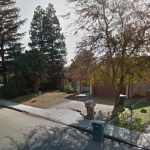 If you’ve searched “sell house as is in Sacramento” then we can help. 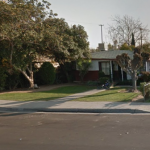 Sell Your House Fast In Sacramento – We Buy Houses In Sacramento and other parts of California including Los Angeles, Ventura County, Bakersfield, Inland Empire, Fresno, the Bay Area and more! 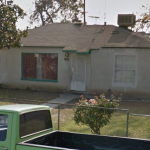 Quick Home Offers is a Sacramento cash house buyer. We never charge any fees. All you have to do is hear our offer and decide for yourself if it’s right for you. Selling with us is the easiest way to sell your house!